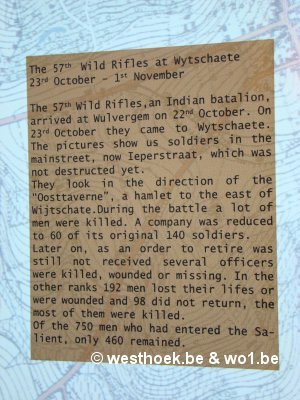 Indian Troops reach Belgium The 1st Connaught Rangers - the British battalion that belonged to the Ferozepore Brigade - were the first to have their baptism of fire. 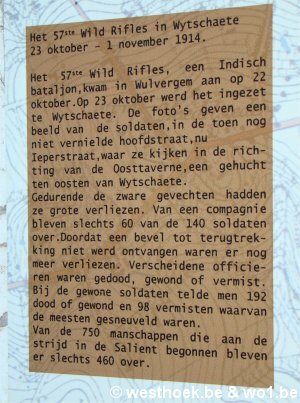 The first Indian battalion that had to go into the firing line was the 57th Wilde’s Rifles in the vicinity of Wijtschate - Oosttaverne. 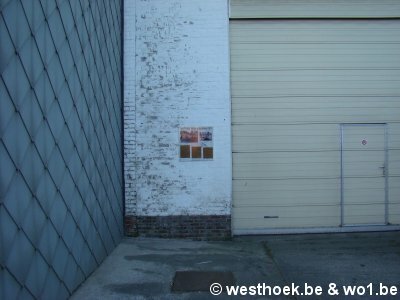 Sepoys from that unit are depicted on a famous picture taken in front of Café ‘t Nieuw Staenijzer in Wijtschate around that date. 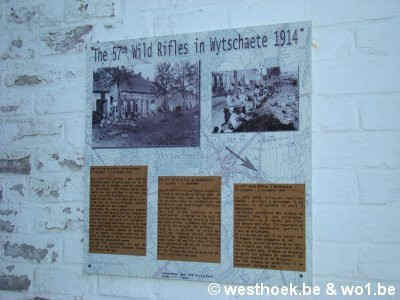 The photographs are from the IWM. However, the caption in the IWM is wrong. It says that these are soldiers from the 129th Baluchis. The mistake is made again and again. Strangely enough, (as it is clearly readable) the shoulderbadge of the sepoy in the front is “57” and not “129”. No doubt the mistake was made because Khudadad Khan VC, belonged to the 129th Baluchis.